Competition Cake #2 is done! 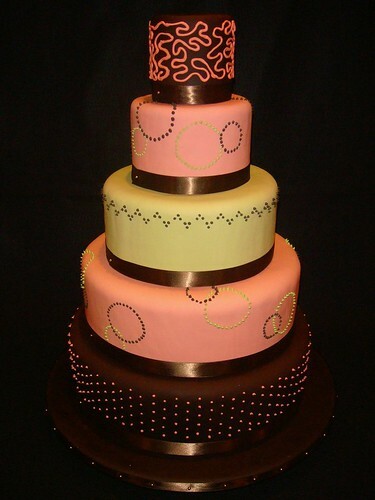 This 5-tier wedding cake is done with chocolate and tinted vanilla fondant with royal icing accents throughout. Tonight/tomorrow, I’m doing a 1st-birthday party cake for a little girl… more pictures soon!